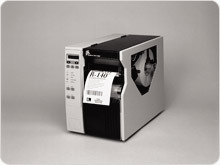 Through our Data Systems division we can also provide a full thermal printing system package that includes hardware, software, technical support, training and consumable ribbons and label stocks. Configured around the Zebra range of thermal printers, we have a world class package of products that provide the label printer with total support. In many cases we can offer free service and maintenance where consumables are purchased to agreed levels on a contractual basis.